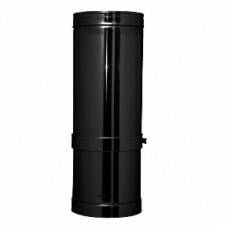 Our stainless steel or black twin wall flue pipe is a simple push fit joint flue system, build your chimney system by placing each piece on top of the previous and push together to make the joint (the simplest system to construct on the market today). 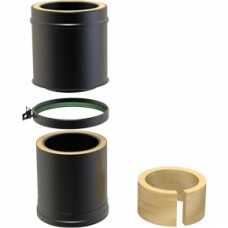 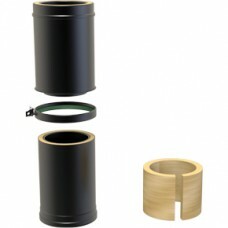 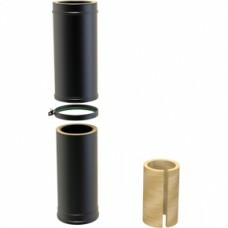 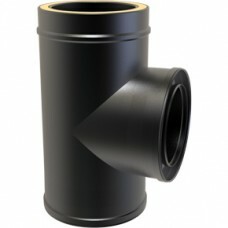 This twin wall flue system is suitable for use with wood, coal, gas and oil appliances. 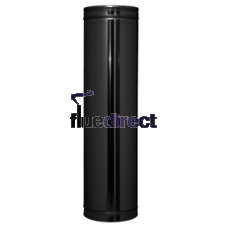 If you are installing a new heating appliance, such as a wood or multi fuel stove, gas coal-effect fire or an oil boiler, you will probably need a twin wall flue system, especially if you do not already have a brick chimney stack. 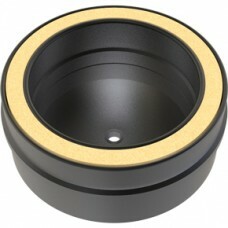 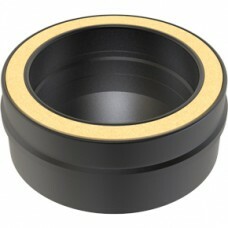 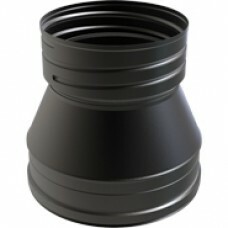 5" inch Black twin wall flue increasing stove adaptor 100mm 4 " to 130mm 5 "
8" inch Black twin wall flue - Wall Support 80-130mm . 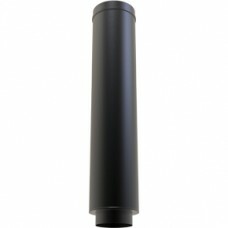 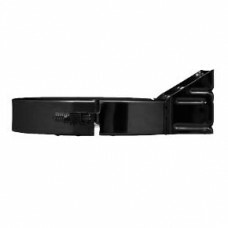 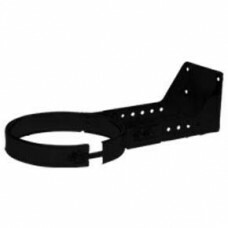 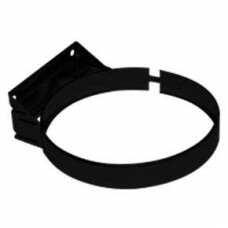 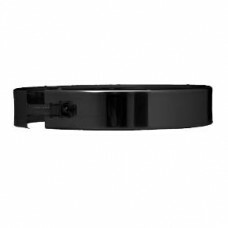 8" inch Black twin wall flue - Wall Support 130-210mm . 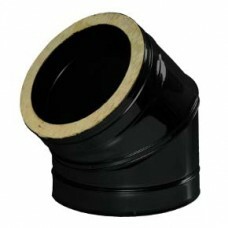 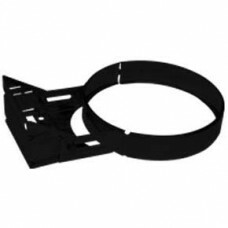 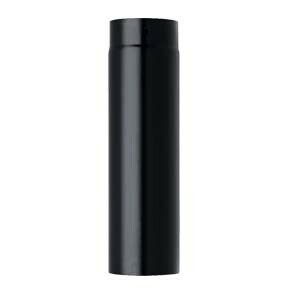 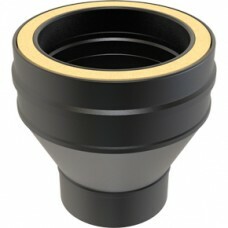 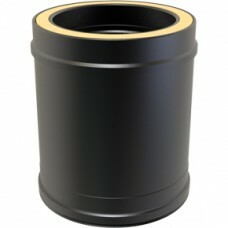 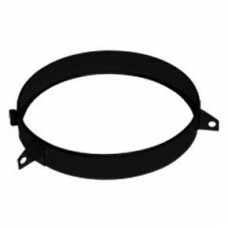 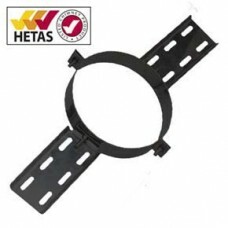 8" inch Black twin wall flue - Wall Support 50-80mm . 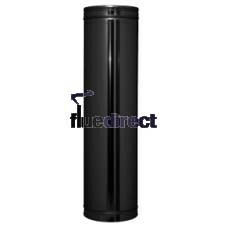 You can install twin walled flue virtually anywhere giving you more choice where you install your appliance. The flue is able to run internally and externally passing through floors or walls to accommodate your required flue route. 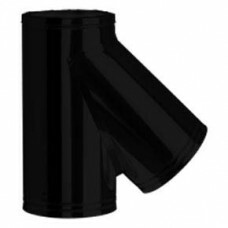 Our twin wall flue pipe has been manufactured to the highest level and also offers great aesthetics for your stove or fire place installation. 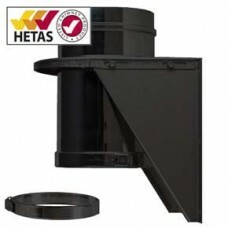 We sell two types of multi fuel insulated Twin walled flue and both are HETAS and CE approved: Dinak DW twin wall (EN 1856-1-T450-N1-W-VmL50040-G60) and KC 'Fitters Choice' (EN1856-1 T600 N1 W VM L50040 G60). 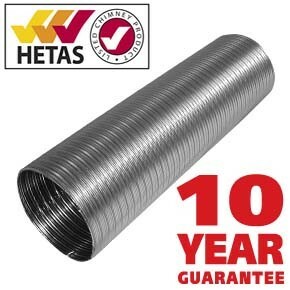 Both are a European made, Class 1 chimney system made from stainless steel with 30mm of high density Rockwool insulation. 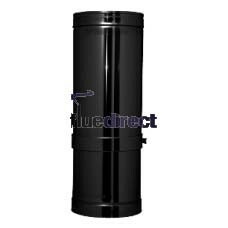 Stocking both systems in all sizes enables us to fulfill flue orders for domestic, commercial and industrial heating applications, for both condensing and non condensing appliances. 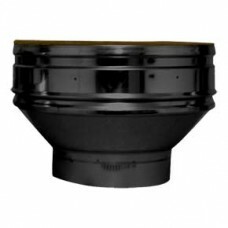 On this page you will find the most common domestic sizes of twin wall chimney flue pipe: 5 inch (130mm), 6 inch (150mm), 7 inch (180mm) and 8 inch (200mm) twin wall flue pipe, as well as 3" (80mm) and 4" (100mm), Black 5" and 6" twin wall flue are also in stock. 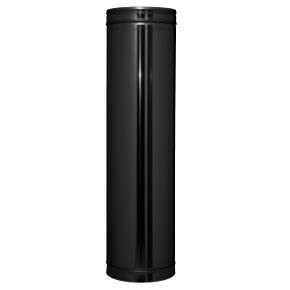 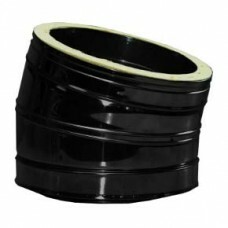 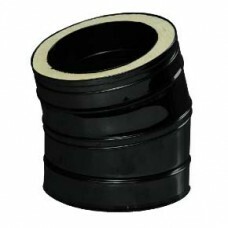 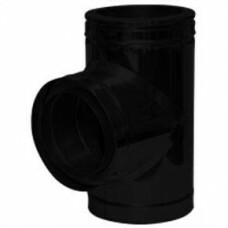 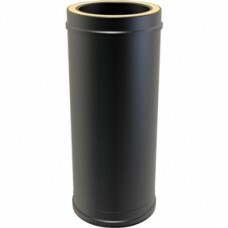 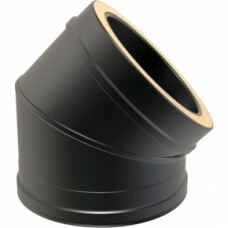 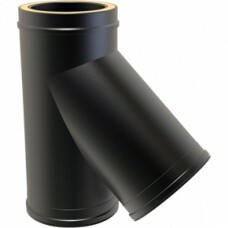 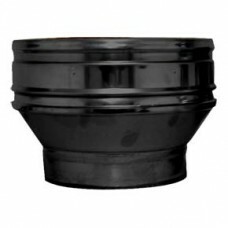 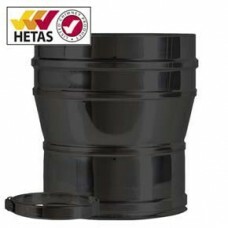 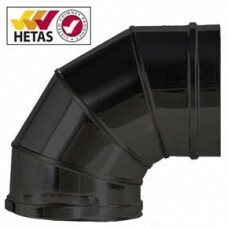 If you require Black flue pipe in any other sizes please get in touch as we can supply it but will require an extra couple of days for delivery. 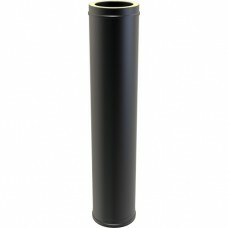 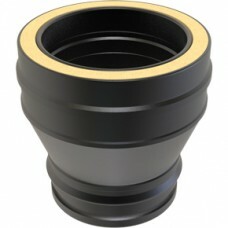 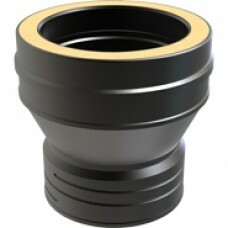 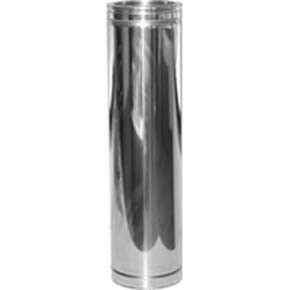 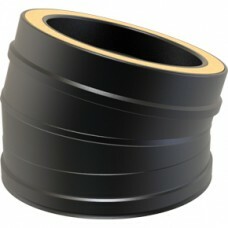 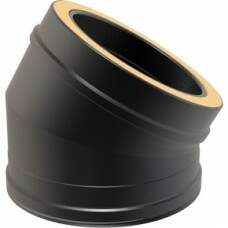 For more diameter sizes please go to our other section 'Twin wall and Single Wall Flues Commercial'. 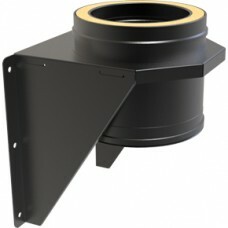 How to fit twin wall flue and what items will I need? 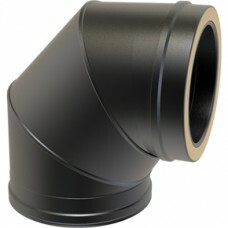 Please refer to our 'FAQ and installation advice section'.